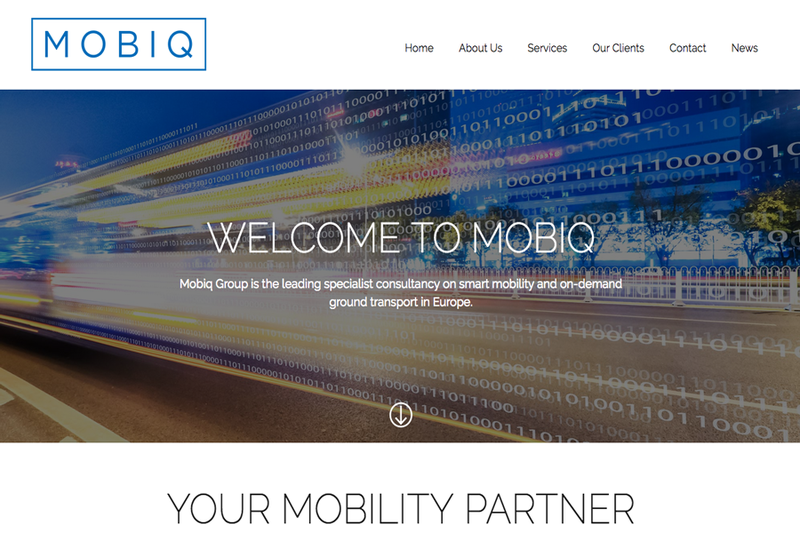 This week's website of the week goes to Mobiq. 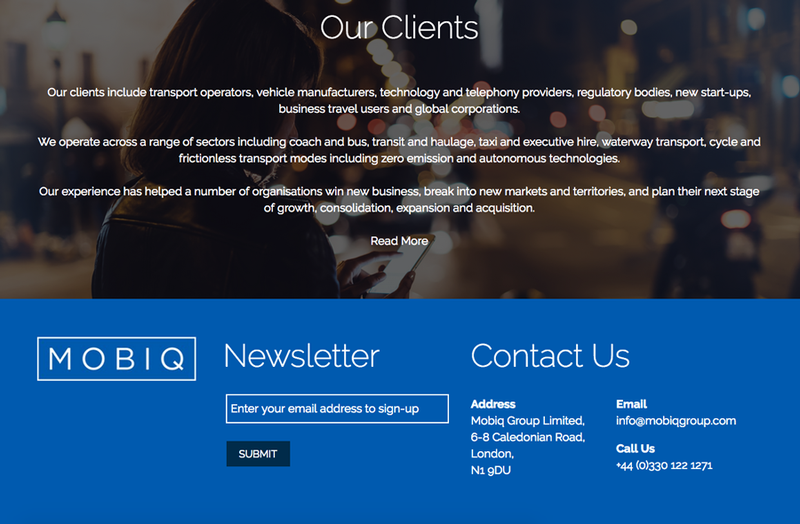 Mobiq brings together experience in operations, technology, business growth and strategic change across the passenger transport and mobility sectors. The website features a neutral colour scheme combined with the clients logo branding which is a shade of blue. The website features a slide show at the top of the page, some parallax image panels to add movement and fluidity as well as an email sign up feature and more. The website features strong imagery, which inject colour into the overall design. Each page is consistent in style, with a different header image per page. 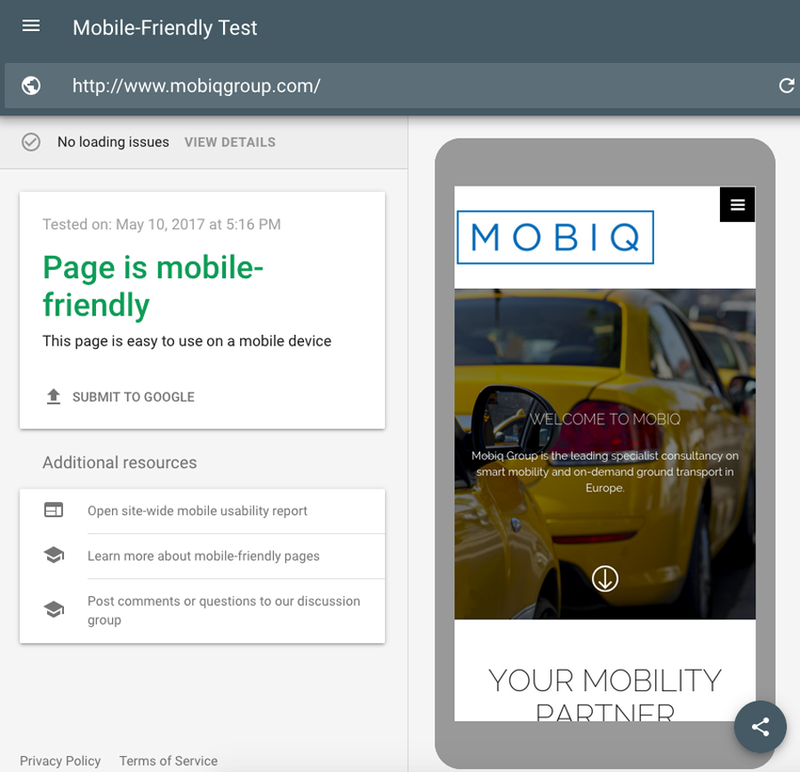 The website passes Google's Mobile Friendly test meaning that the website looks good on desktop, tablet and mobile. Making sure your website is mobile friendly is very important now that Google doesn't list websites that aren't mobile friendly in mobile results. 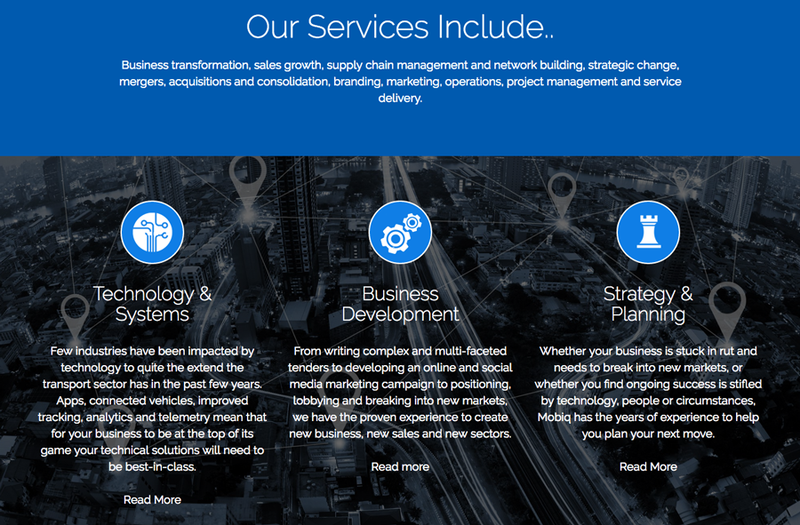 Did you know... We provide bespoke web design work and create all our websites from scratch. This ensures they are fast and tailored to individual needs to guarantee the perfect result.